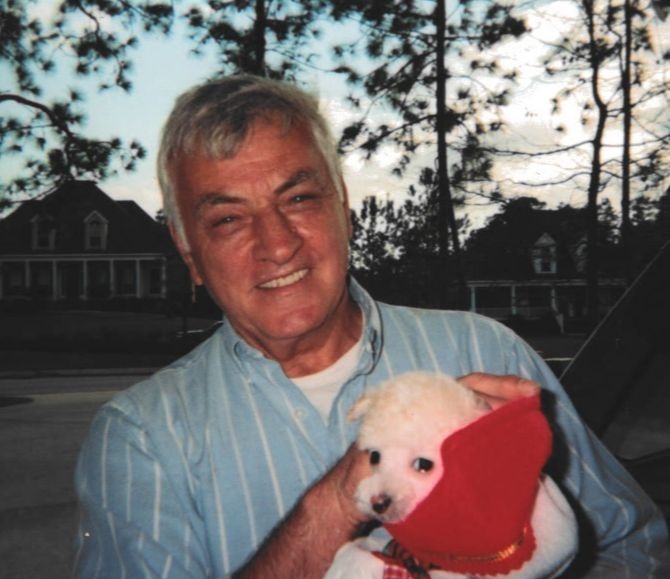 Norman Earl Pierre, 79, a native of Mobile, AL, and resident of Spanish Fort, AL, passed away on Thursday, March 28, 2019. Norman retired from Alabama Power and served in the US Army and National Guard. He loved spending time with his family, friends, and pets, and enjoyed fishing and being outdoors. Norman was always laughing and enjoying life. His love for practical jokes and Waffle House shenanigans were entertaining for everyone. He will be greatly missed. Norman is preceded in death by his parents, William and Vita Pierre; sisters, Margaret Means, Betty Hartley; brothers, William Pierre, Robert Pierre, and Thomas Pierre. He is survived by his wife of 58 years, Rosemarie Ward Pierre; his children, Kim Pierre Stinson (Mark) of Pace, FL and Norman, Jr. (Nora) of Mechanicsville, VA; his grandchildren, Kristin Stinson, Nicholas Pierre, and Brittany Pierre Henderson (Jason); great-grandchild, Emma Elizabeth Henderson; sister, Ann Estes (William) as well as many other relatives and friends. A celebration of life will be held for family and friends to gather and rejoice in his glorious homecoming. In lieu of flowers, donations may be made in Norman’s memory to The Haven in Fairhope, AL, www.havenforanimals.org. Expressions of condolence may be offered at www.hughesfh.com. Hughes Funeral Home in Daphne, AL is assisting the family. Gene and I are so sorry to hear of your loss. We have thought and talked about you and Norman and the kids a lot over the years remembering the good times we had and great neighbors when living in Driftwood. We will keep you and Kim and Norman and their families in our prayers. Thank you Mary. We often thought of you and your family. We had some fun times. Time really flies. It seems like only yesterday we were sharing carpool.